https://kaslojazzfest.com/wp-content/uploads/2018/02/27580136_184772212121765_1289245888295731200_n1.jpg 870 1080 Kaslo Jazz Etc Society https://kaslojazzfest.com/wp-content/uploads/2018/08/KJEF_2019_website_logo-black.png Kaslo Jazz Etc Society2018-02-23 12:52:012018-02-23 12:53:352018 Vendor Applications Now Open! Glen The Balloon Guy returns! https://kaslojazzfest.com/wp-content/uploads/2017/07/PastedGraphic-1.jpg 1221 879 Kaslo Jazz Etc Society https://kaslojazzfest.com/wp-content/uploads/2018/08/KJEF_2019_website_logo-black.png Kaslo Jazz Etc Society2017-07-18 15:15:212017-07-18 15:24:29Glen The Balloon Guy returns! 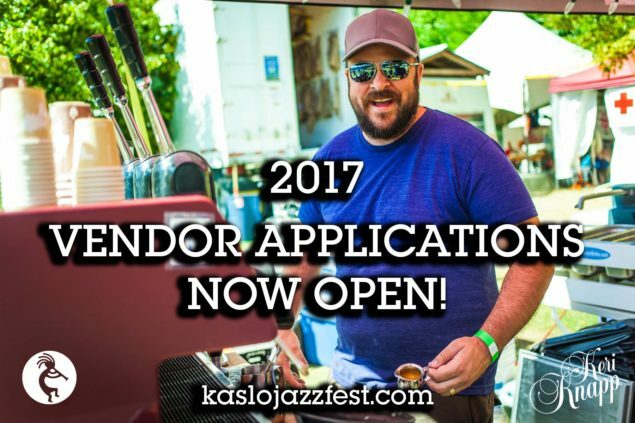 https://kaslojazzfest.com/wp-content/uploads/2017/02/Vendor-Apps-Open-2017.jpg 1200 1800 Kaslo Jazz Etc Society https://kaslojazzfest.com/wp-content/uploads/2018/08/KJEF_2019_website_logo-black.png Kaslo Jazz Etc Society2017-02-02 21:46:162017-02-02 21:46:16Calling all Vendors!